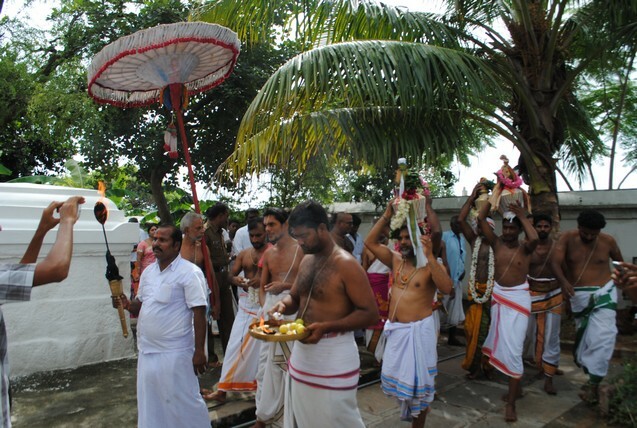 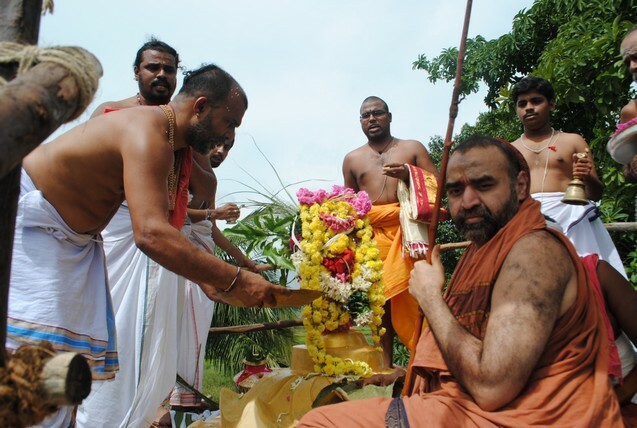 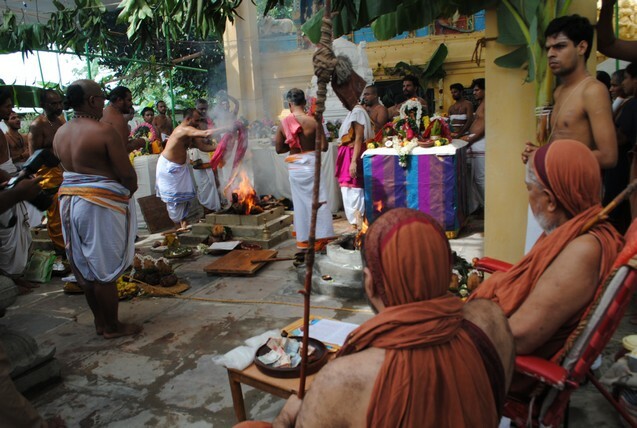 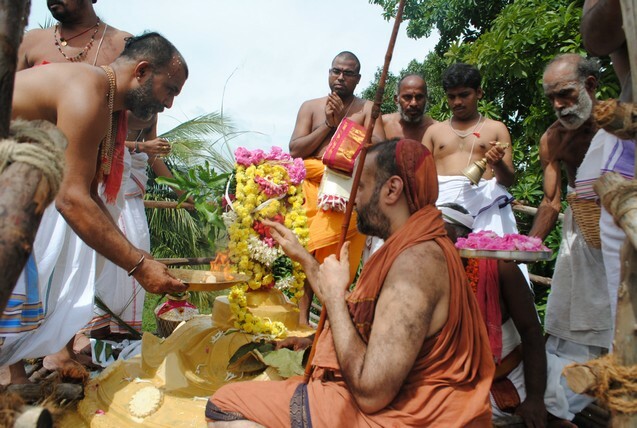 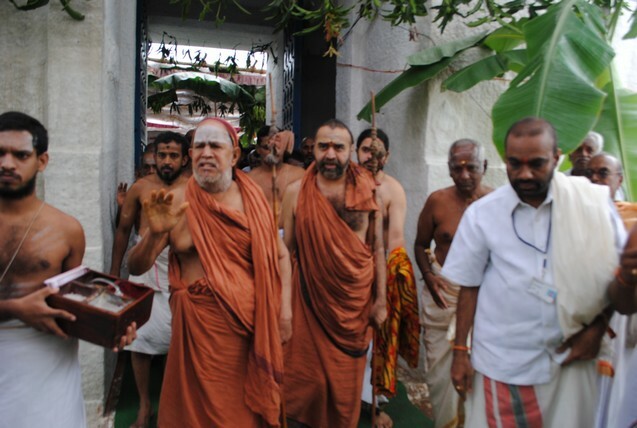 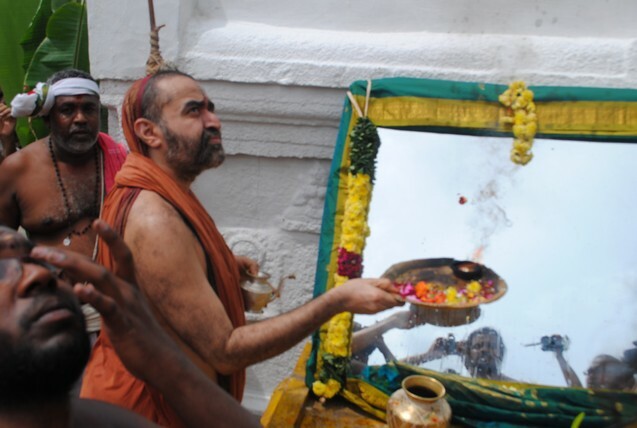 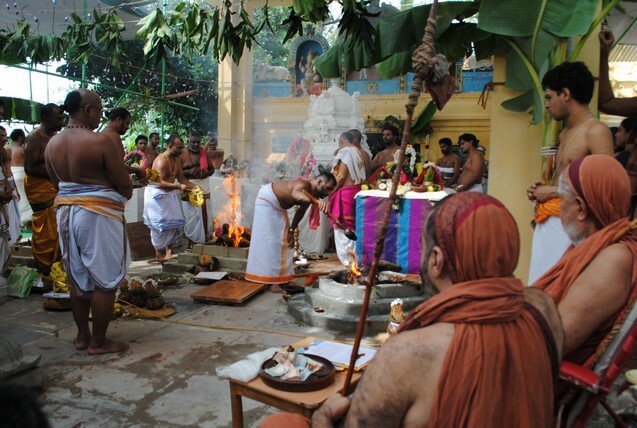 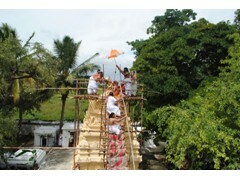 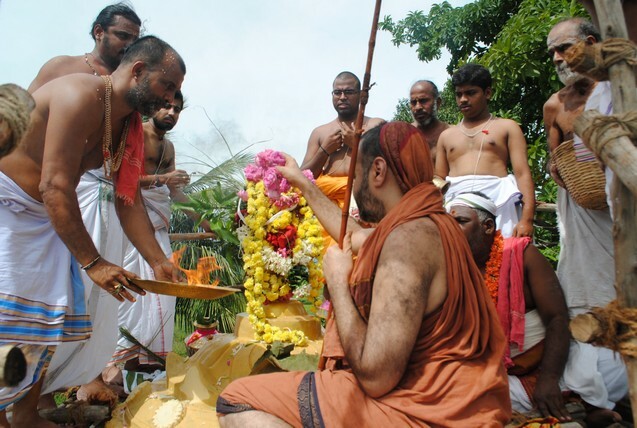 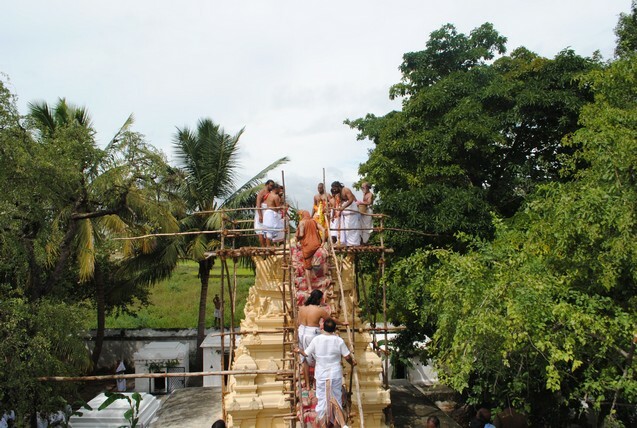 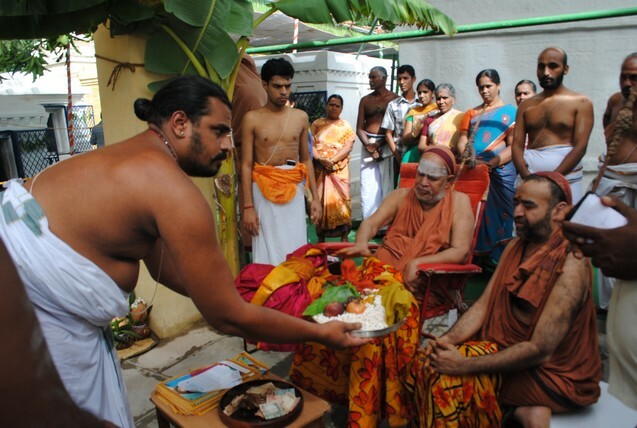 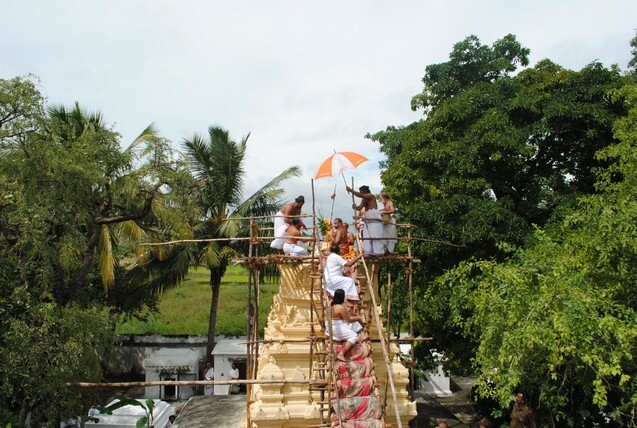 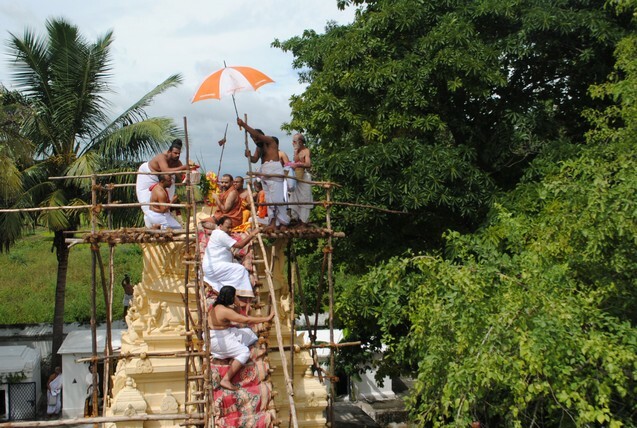 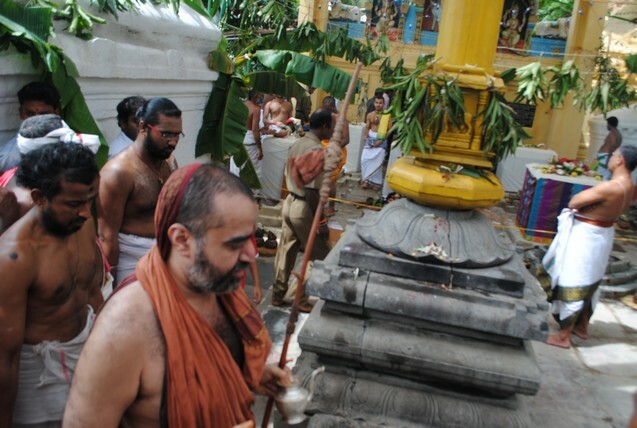 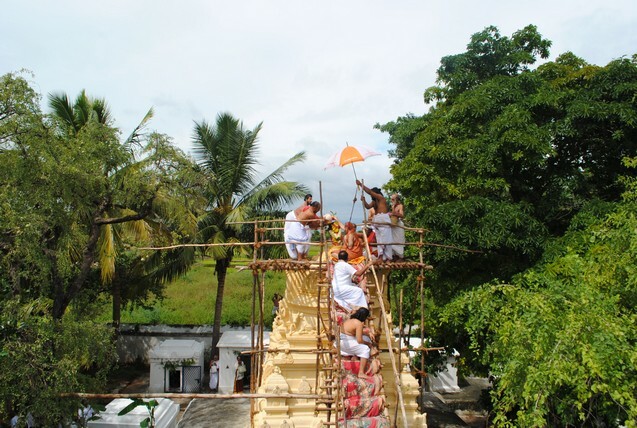 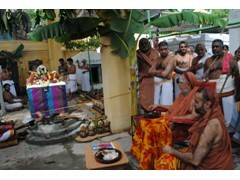 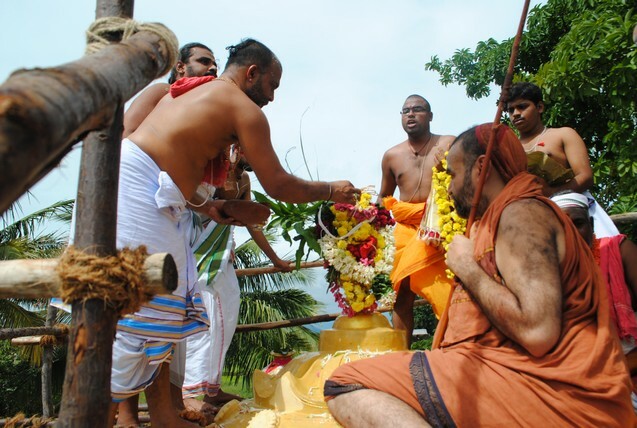 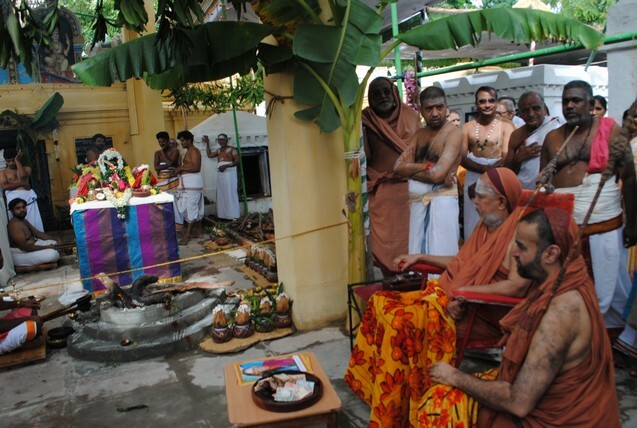 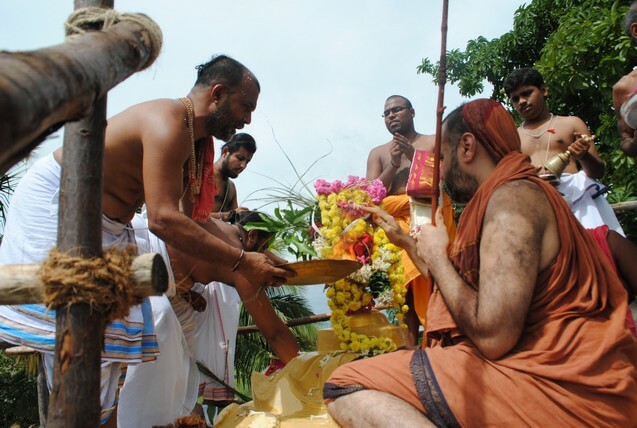 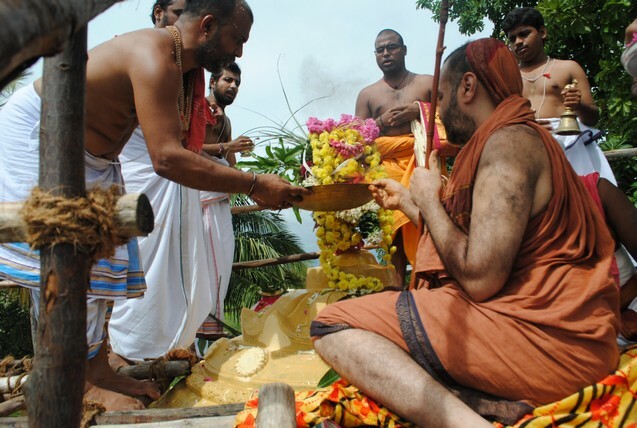 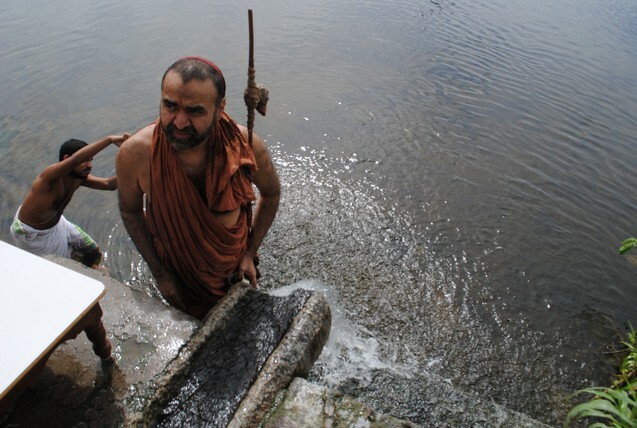 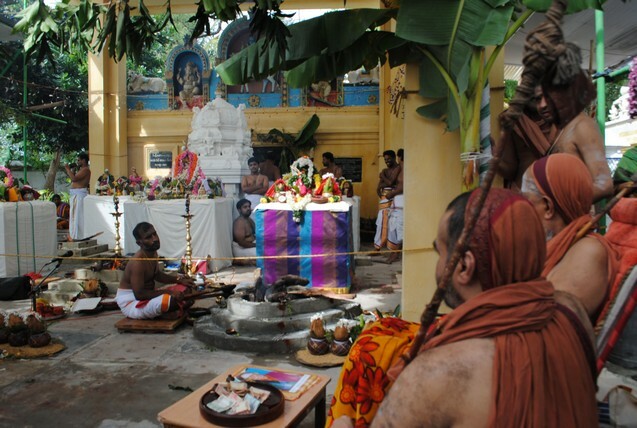 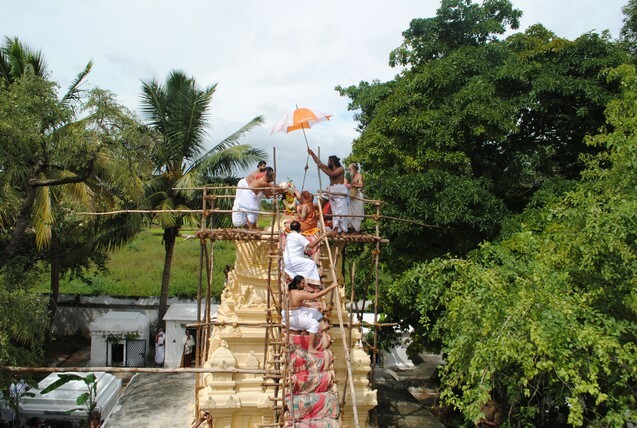 The Ashtabandhana Maha Kumbhabhishekam of Sri Annapoorna Sametha Kasi Visweswara Swamy vari Temple, Bugga was conducted on 23 Oct. 2013 by Their Holinesses Pujyashri Jayendra Saraswathi Shankaracharya Swamiji and Pujyashri Shankara Vijayendra Saraswathi Shankaracharya Swamiji. 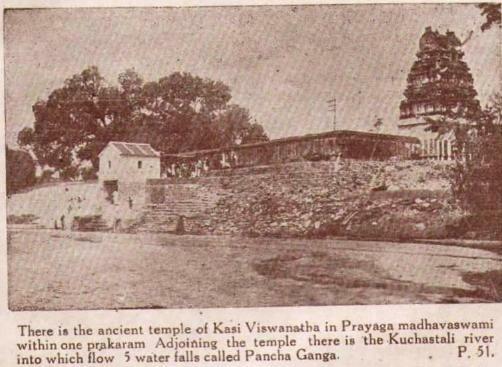 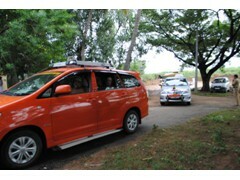 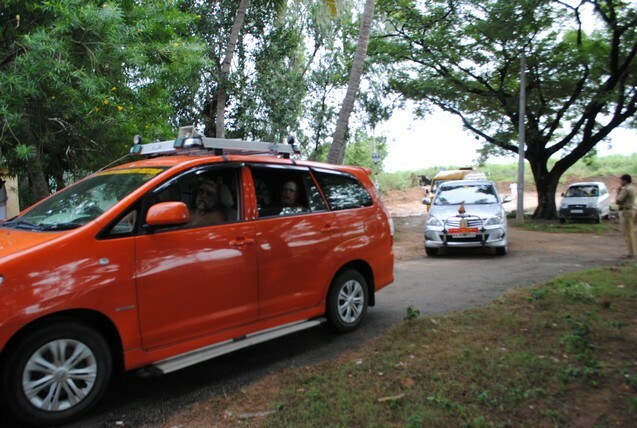 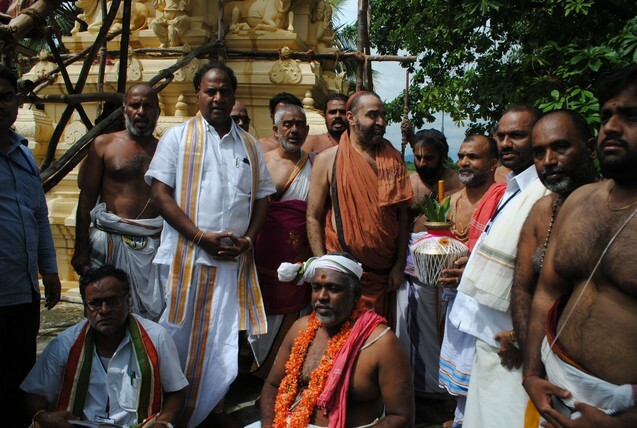 His Holiness recalled the yatra undertaken by Pujyashri Chandrashekarendra Saraswathi Mahaswamiji to Bugga village, and the performance of Kumbabhishekam in His Benign presence in the year 1932. 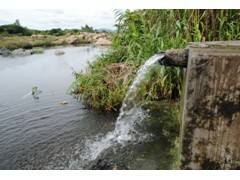 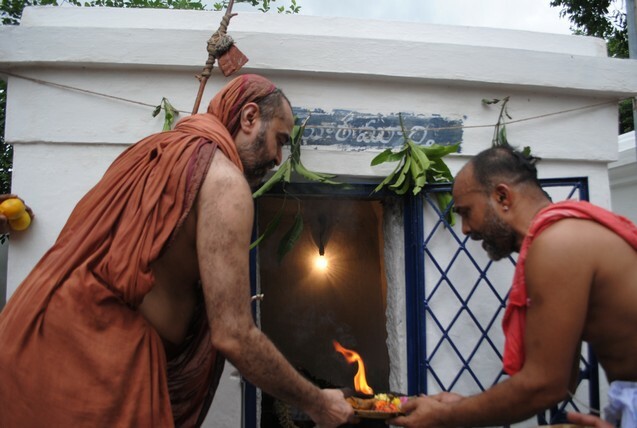 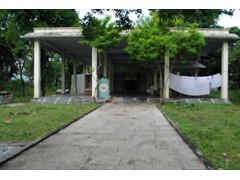 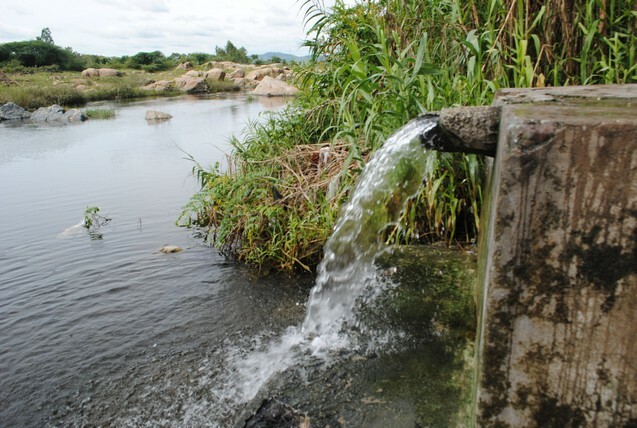 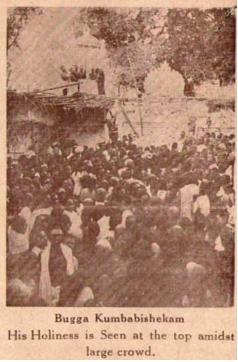 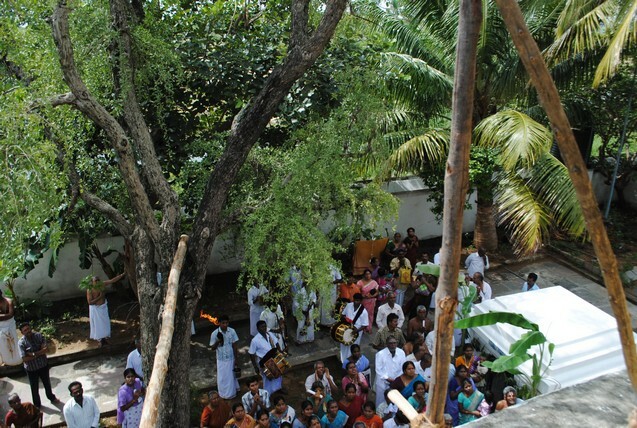 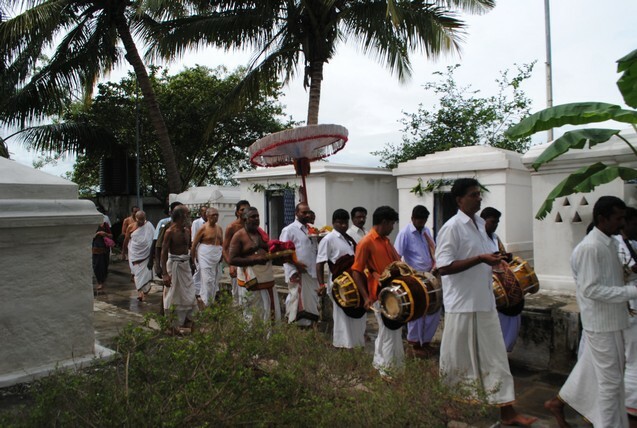 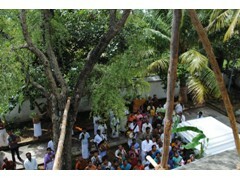 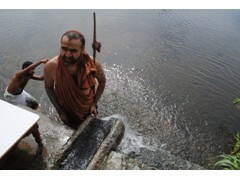 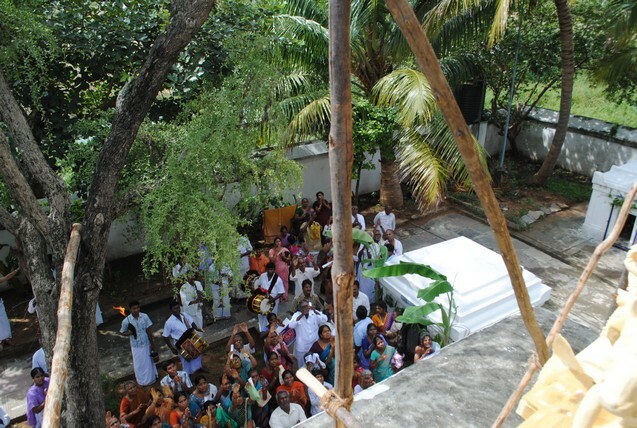 The well in the adjacent Shankara matam named "Vyasa Teertham" was dug during the Chaturmasya vrata performed by His Holiness in Bugga. 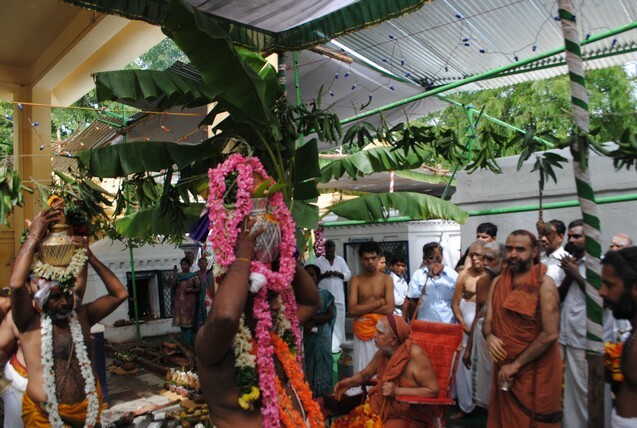 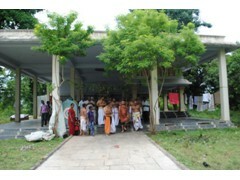 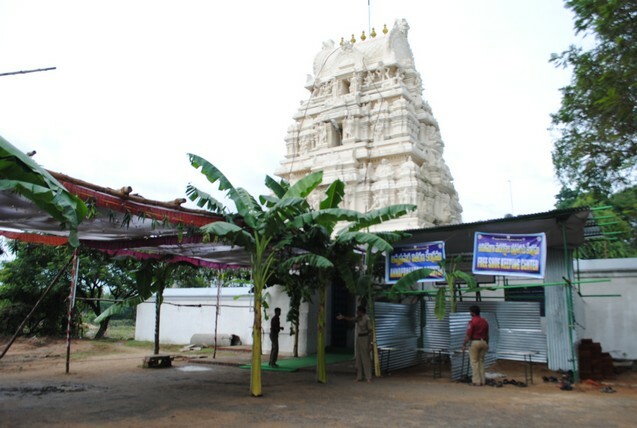 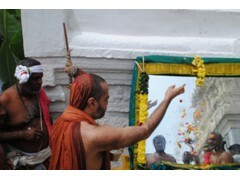 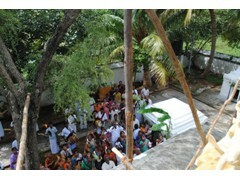 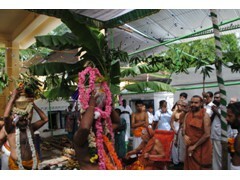 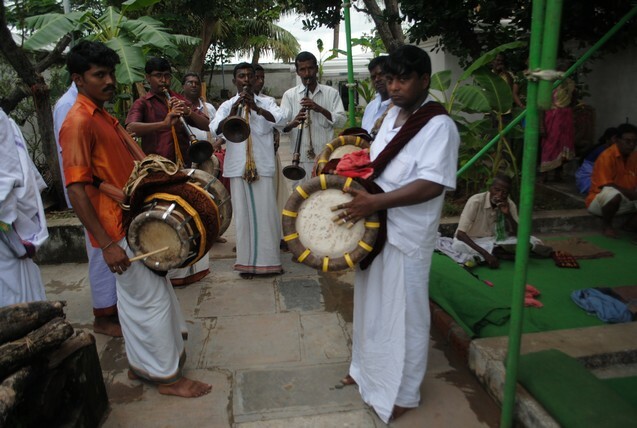 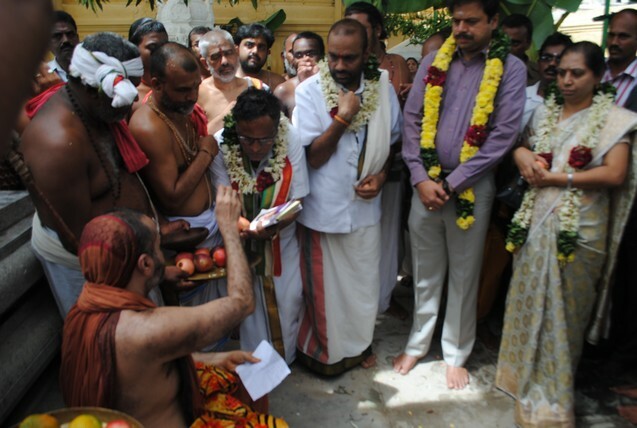 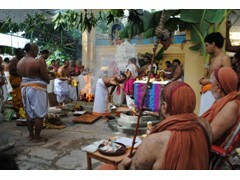 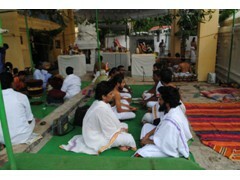 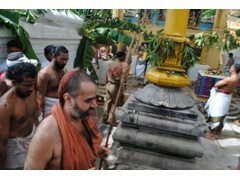 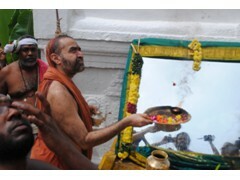 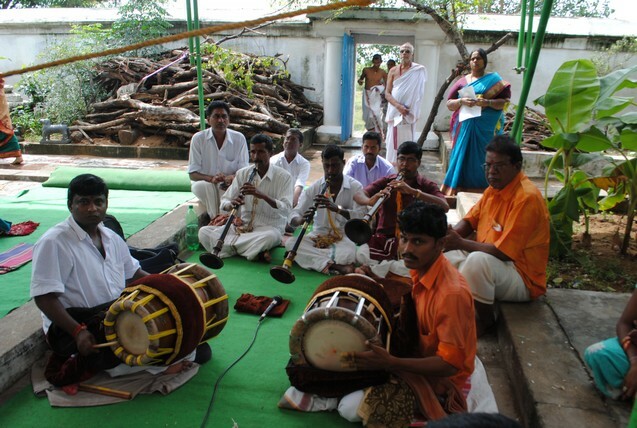 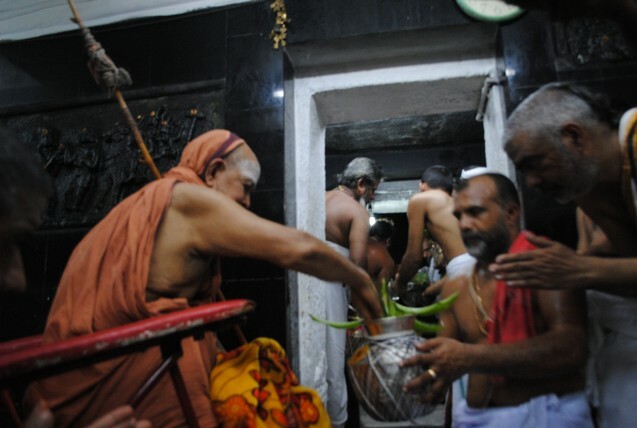 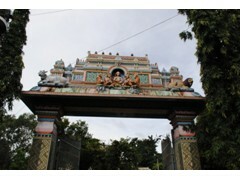 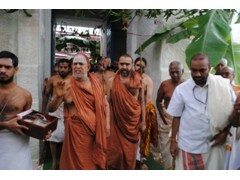 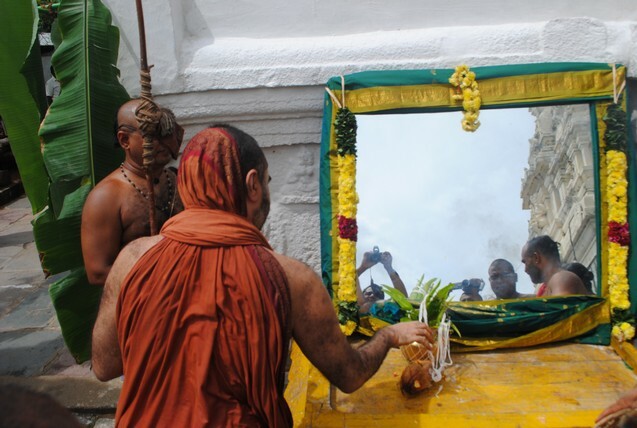 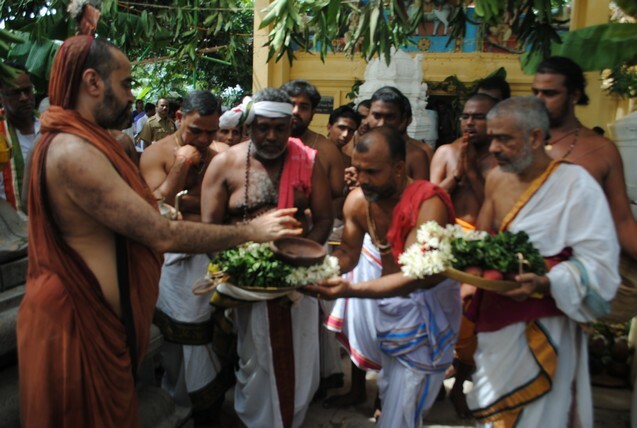 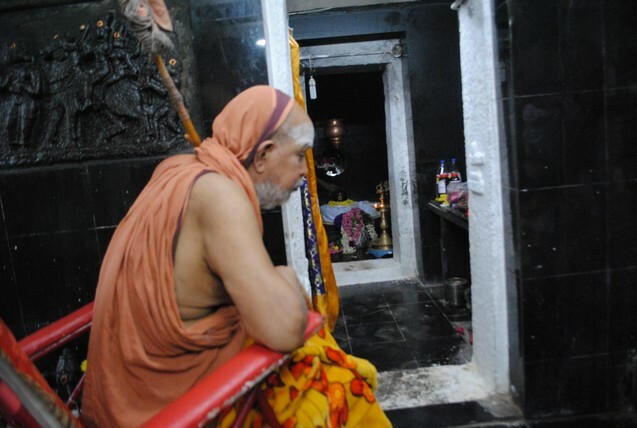 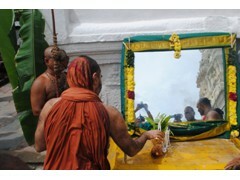 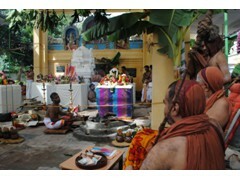 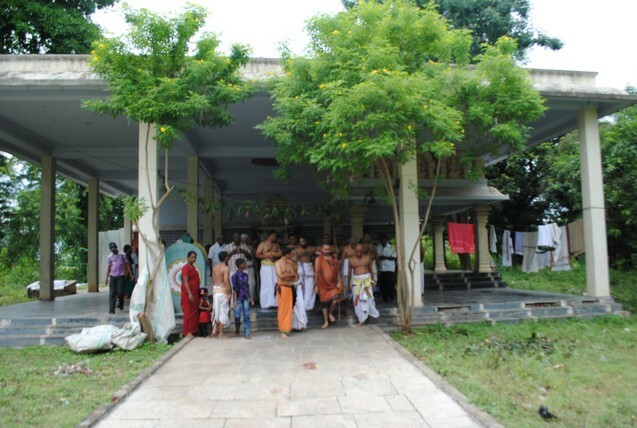 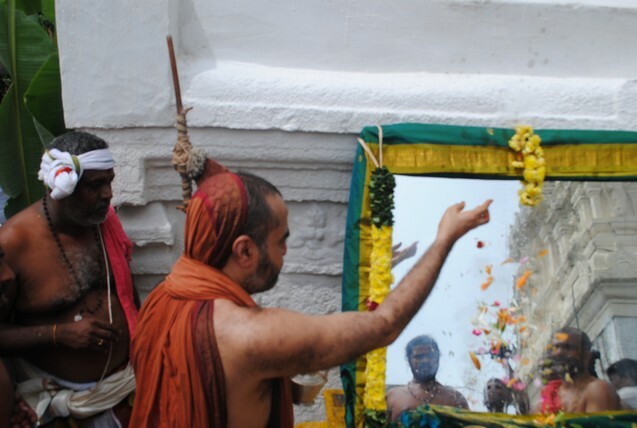 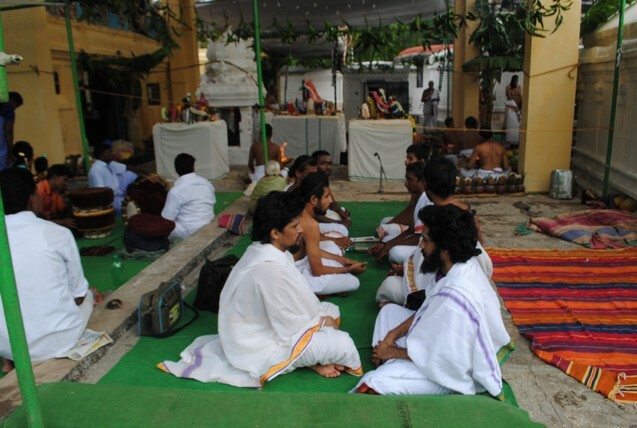 Annadaana Prasadam was offered to the devotees in Shri Kanchi Kamakoti Peetam Shankara Matam, adjacent to the temple. 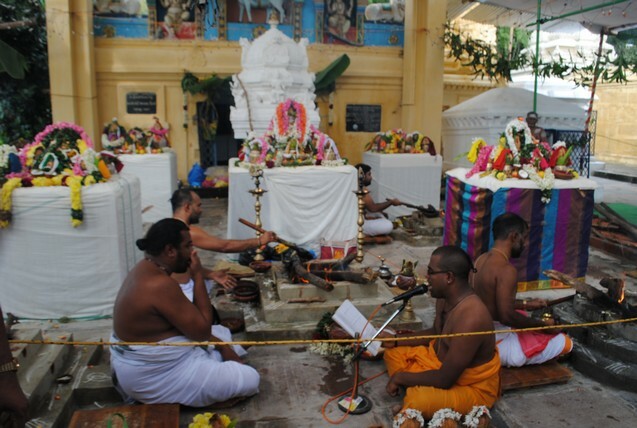 In the evening at 5.00 pm, Sivakalyana Mahotsavam, Acharyadi Ritwik Satkaram, Archaka maryada and Yajamana Ashirvachanam took place. 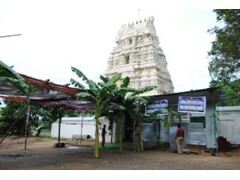 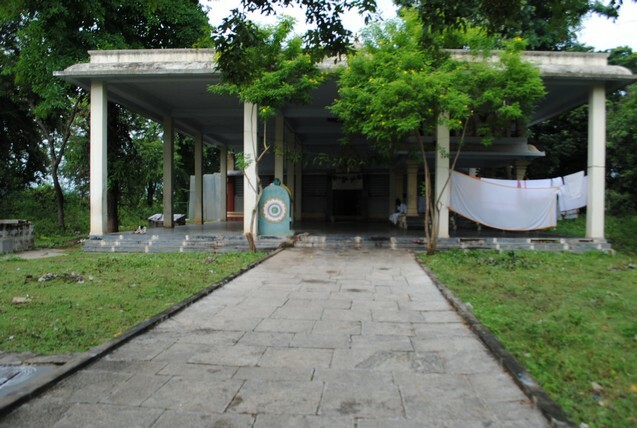 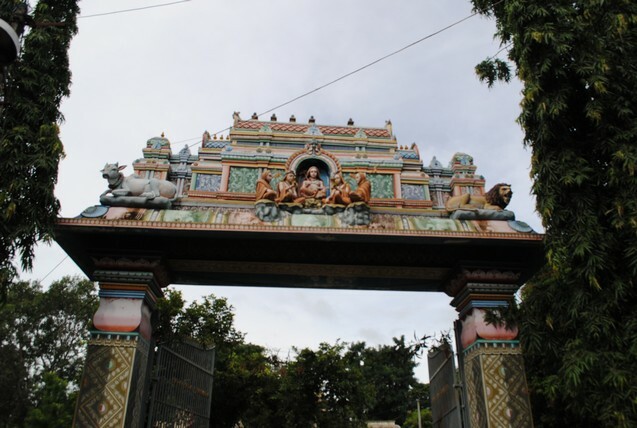 The temple is situated on the banks of the River Kushasthali and is located in the serene village of Bugga, near Nagari in Andhra Pradesh. 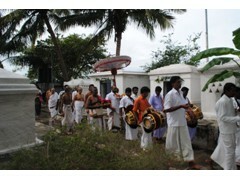 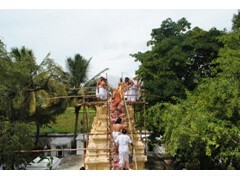 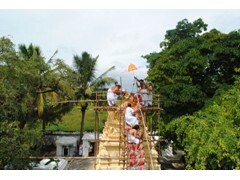 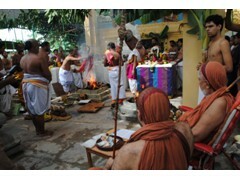 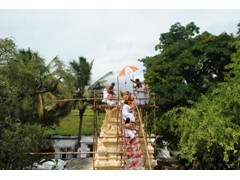 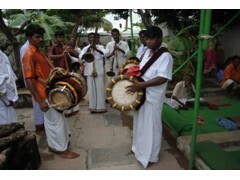 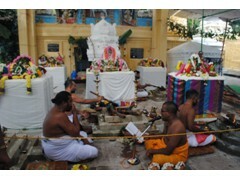 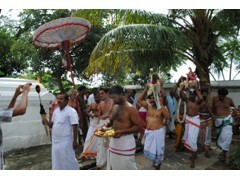 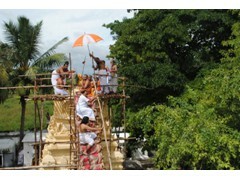 The previous Kumbhabhishekams were performed in the years 1932 and 2000.